The all time crowd favorite is the "Boot Race," another speed event. Each child takes off one shoe and throws it into the pile, which then gets mixed up and moved around some more. 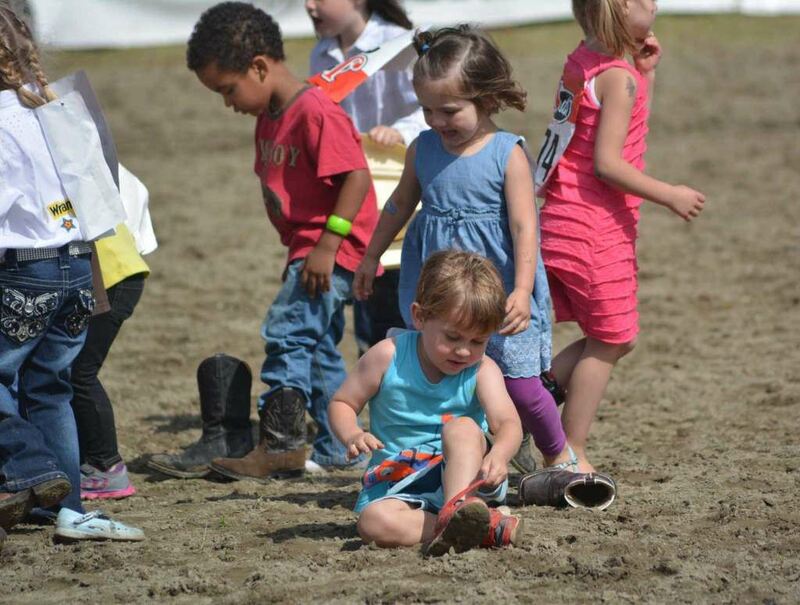 The first child to run the course, find, and put on his or her shoe wins. 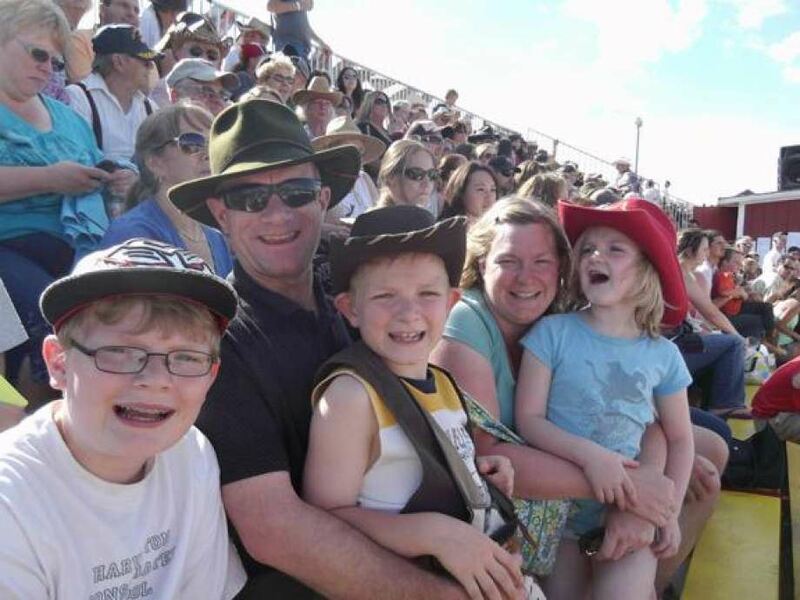 This event is great fun for all Kids and provides a great photo opportunity for parents. Another kids events is the "Stick Horse Race," where children mount a stick horse and run the course around barrels for the fastest time. The BLUE SEAL FEEDS Mutton Busting," where any child boy or girl Less than 50 lbs. 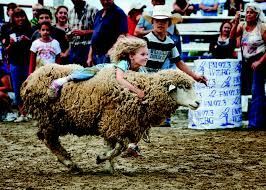 in weight can start their Rodeo Career by riding a large, but docile sheep for 8 seconds or best time. Rules: Kids, Boys or Girls, 50 Pounds or less can enter. Sorry but that is all the sheep can carry.